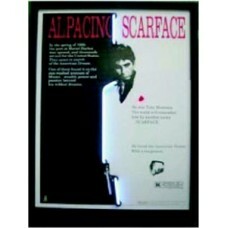 Scarface Neon Picture Easy installation: Hang up, mount up. Expect lifetime: over 100,000 hours. Size: W 17" x H 21" X D 2"